As Christmas baubles and trimmings become more sophisticated, and colours follow fashion trends, it’s becoming increasingly difficult to choose from the many divine decorations on offer at this time of year. 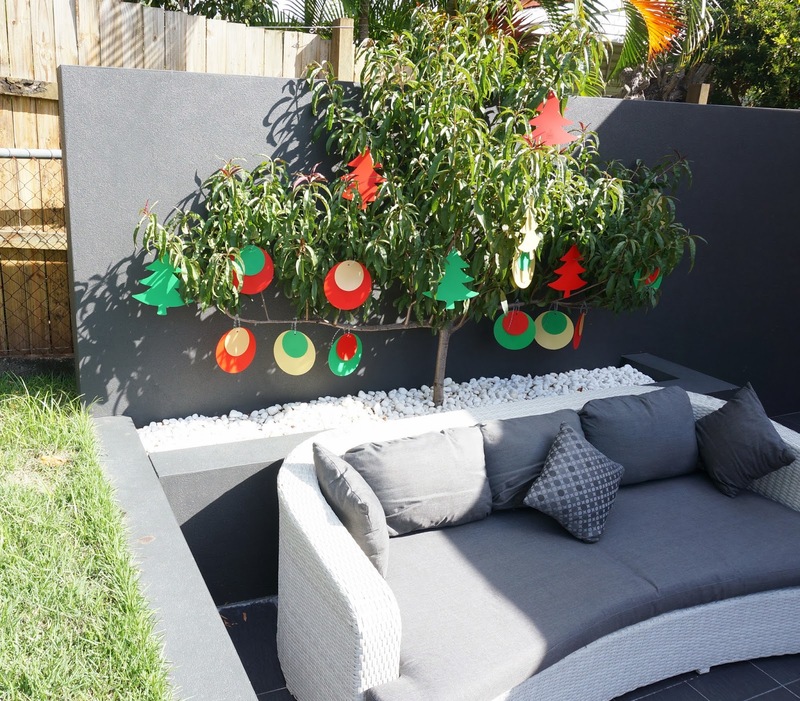 I took the plunge a few seasons ago by choosing yuletide chic over conventional options, but sadly, the black Christmas tree I bought didn’t do much to impress the grandparents and littles, nor did the wicker door decorations and plywood ornaments. 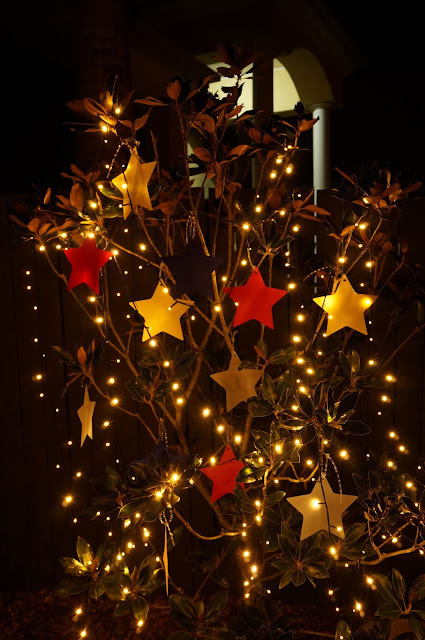 So this year I resolved to revisit tradition – after all red and green still say Christmas better than any other colour combination and when applied to handcrafted treasures outshine even the glitziest bauble. 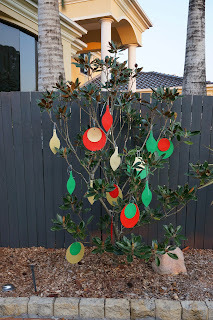 But I have also taken the idea one step further and given an outdoor tree a Christmas makeover. 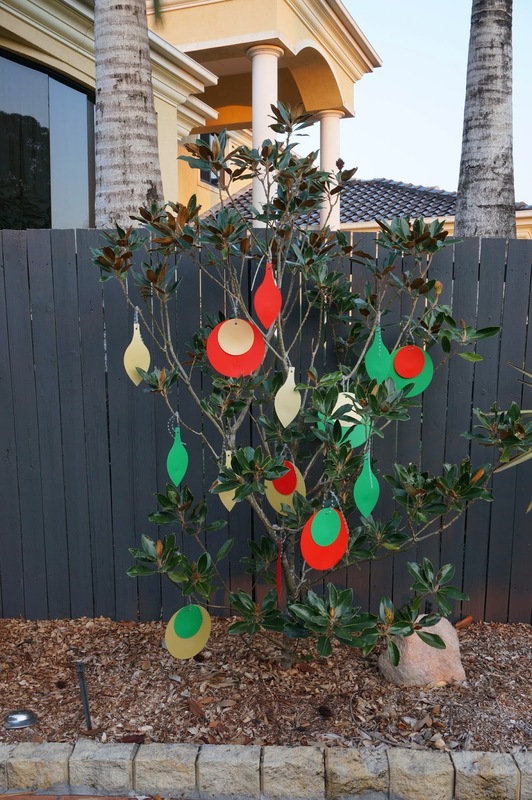 I think you'll agree, these red, green and gold outdoor decorations from TreeTrinkets fill both the traditional and contemporary niche for yuletide dressing.